At $650 for the 64GB WiFi-only base model, it is definitely a sizable jump up from Apple’s lower-cost iPad. 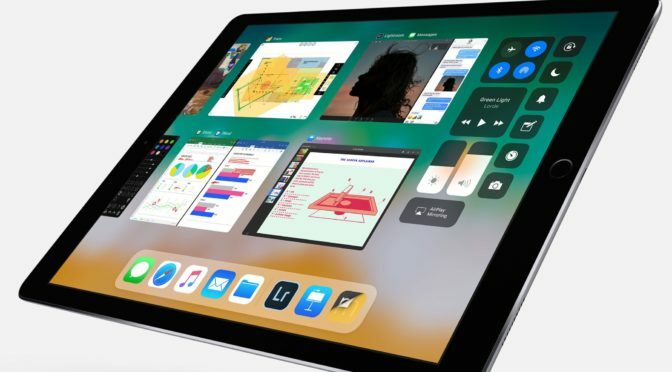 However, you get a bigger, brighter, and clearer screen and better internals, which will all make a difference when you are running iOS 11 with all of its productivity enhancements. It may seem like too steep of a jump for some users, but if you hold and use both like I have, you’ll see where that hard-earned money goes. If you’ve been seriously considering making the jump to the 10.5” iPad Pro, now is a great time because you can save $100 at BestBuy this week, making the base model 10.5” a great deal at $549! In fact, BestBuy is selling each model and color of WiFi iPad at $100 off, including all WiFi versions of the 12.9” Pro, as well. So, no matter what size or storage level you’ve been looking at, there is a great deal to be had! Unfortunately, the sale doesn’t extend to the cellular models, at least not without major strings attached. You can get a Verizon-specific cellular Pro version on sale, but you have to commit to a 2-year contract, which I would highly advise against. You would be better off holding out to get a better deal on a cellular model that preserves your ability to switch carriers for the best deal at will. For those who don’t mind shopping open-box, there are even better prices to be found at BestBuy. If you click the Open Box link on the same BestBuy page linked above, you can find excellent condition Open Box models of the 64GB 10.5” for $515 and $499. 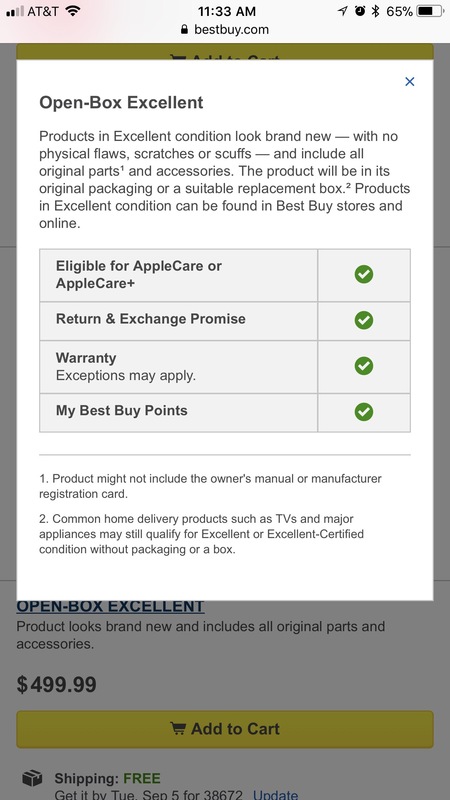 As you can see in the screenshot above, these Open Box models are still warrantied and have AppleCare or AppleCare+ available as options. There are also Open Box deals listed for the other Pro sizes, as well. 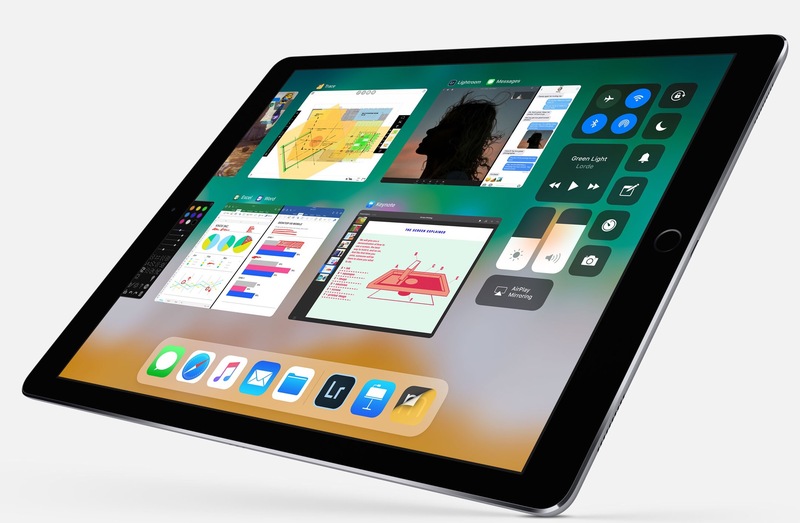 Have you taken the iPad Pro plunge yet? If not, this is probably the best deal you will see until the Christmas shopping season is in full swing. If this deal is enough to push you over the edge, let me know. You can reach me in the Comments below, on Flipboard, on our Facebook page, and on Twitter @iPadInsightBlog.